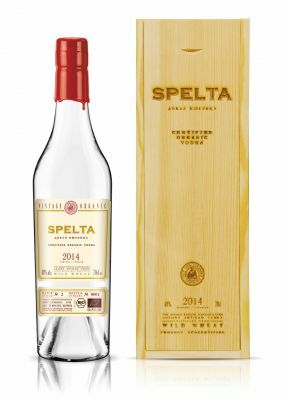 SPELTA is an inspired certified organic small-batch vodka handcrafted in Russia. It's distilled from single-vintage organic spelt, an ancient variety of wild wheat. It's crafted using the revived technology of natural malt fermentation. Distilled enough times to keep the balance of its flavor, aroma and character of spelt right. Distillery uses only all-natural ingredients from within the Republic of Mordovia. The grain sourced from a local organic farmer and the water from Saransk's artesian wells. The expertise of Master Distiller ensures balance, smoothness and incomparable excellence. SPELTA designed to be savoured by connoisseurs so you can enjoy it neat. It's great taste also lends a taste profile to a perfect Vodka Martini cocktail. Saranskiy Distillers was established in 1899. Since then, company became an undisputable leader of vodka production in Russia. To keep itself on the edge of latest trends Saranskiy Distillers has become the first and only organic vodka producer in Russia. It received both European and US organic certificates. It also became the first distillery in Russia that uses the revived technology of natural malt fermentation.